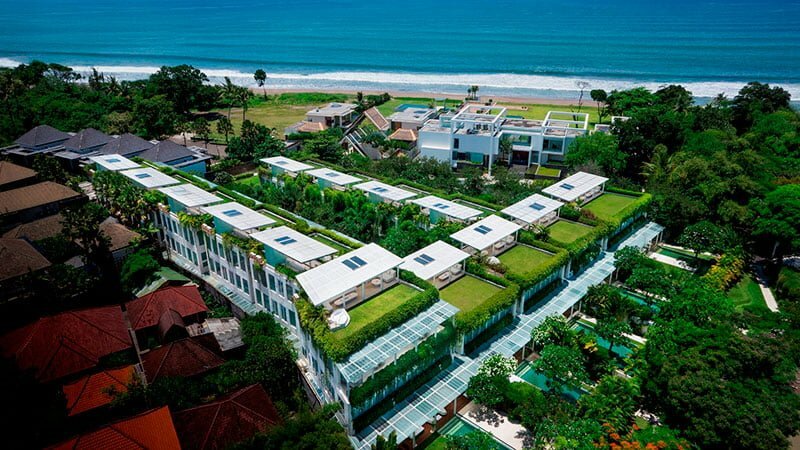 If you are looking to experience the true taste of luxury and affordable accommodation in Bali, then try out the Villa Eden Residence. 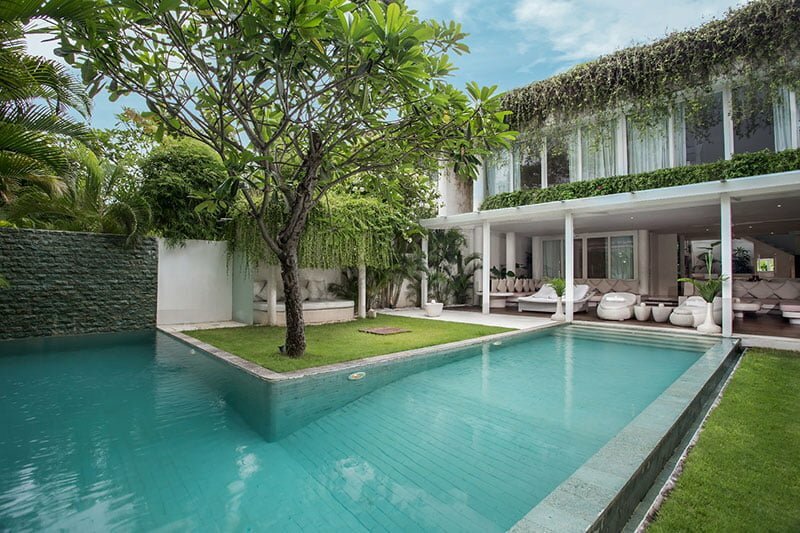 Situated in lust, sweet spot between the greater Seminyak region and the beach, the villa is a complex mix of seaside location and urban accessibility. 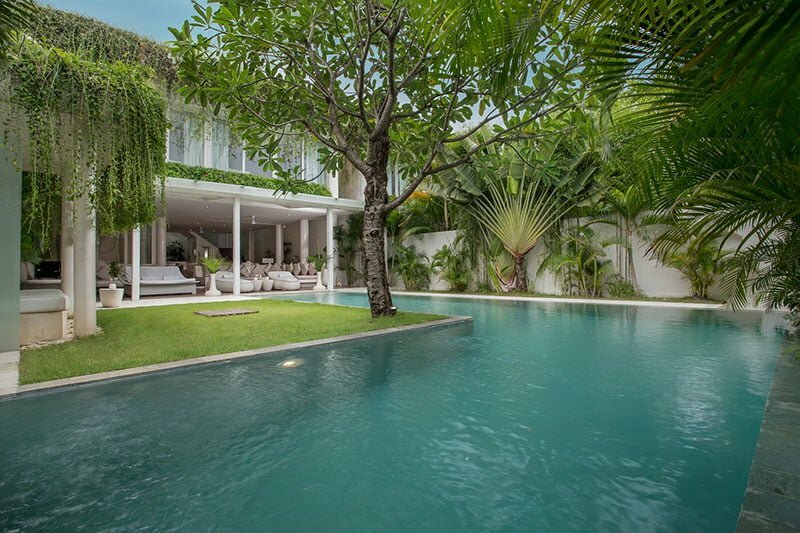 The villa is modern and chic with close proximity to major attractions in Seminyak. It is only 2.4 kilometers away from Finns Beach club and 3 kilometers away from the famous Potato Head Beach Club. 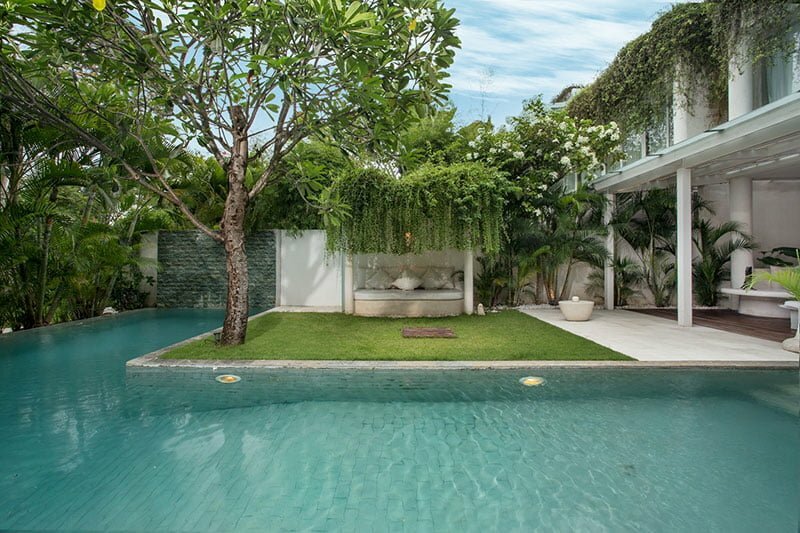 Seminyak Square and Motel Mexicola are also few-minute drives away from the villa. The fact that it is a few strolls from the beach makes it a perfect spot for beach fans and surfing guests. 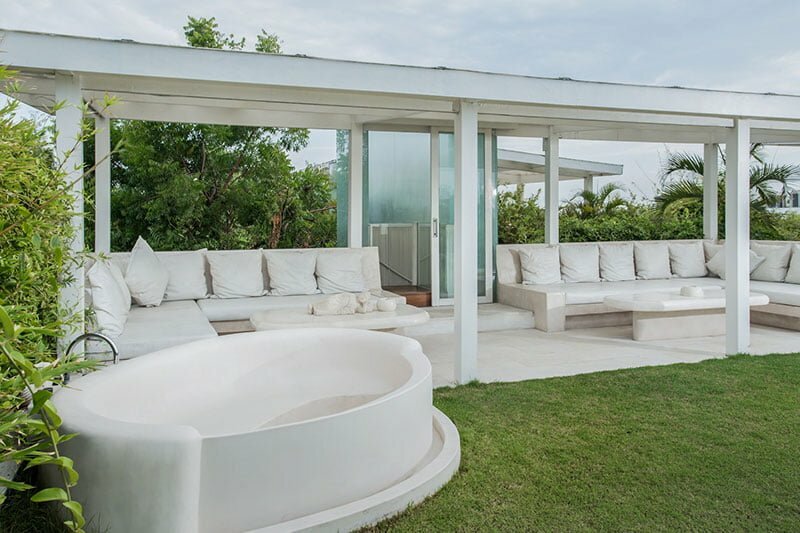 Overall, Eden Residence is a haven for group guests looking to travel together. It is said whatever you observe from the outside is exactly what you will receive when inside! 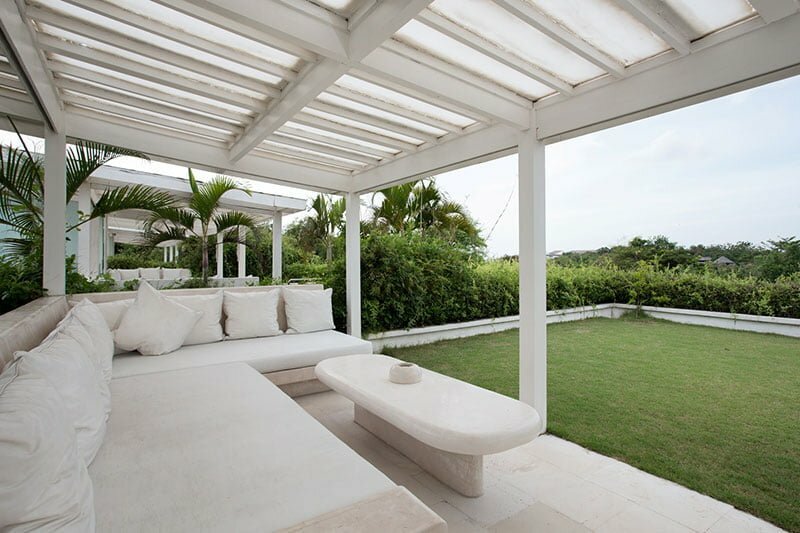 So, let us first get a glimpse of this villa’s outdoor area so that we can make conclusions of its interiors. 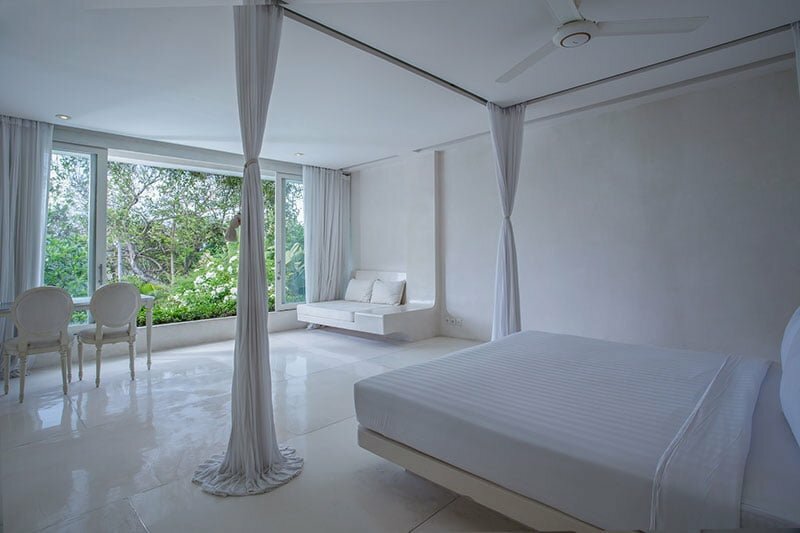 Set in a lush tropical garden, Eden Residence is designed to have an overall white look exterior, perhaps to reflect peace, tranquility, and serenity guests receive when booked in. 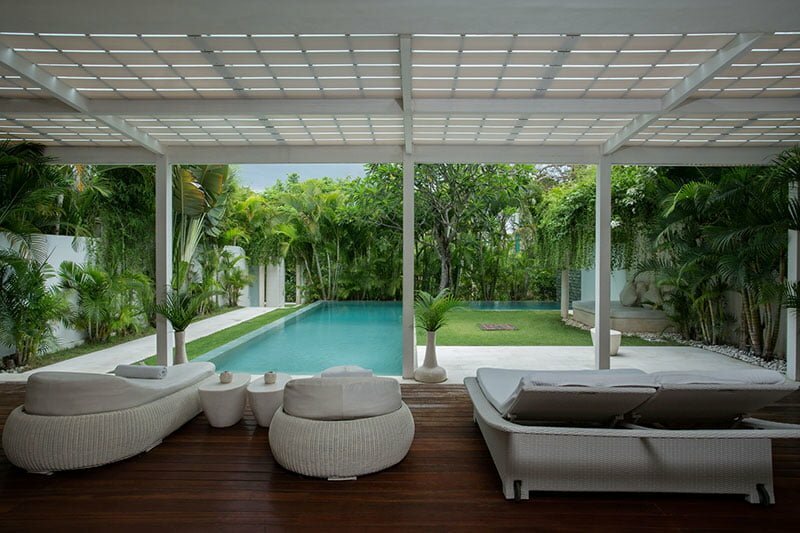 Walk around the garden leads you to a private pool. 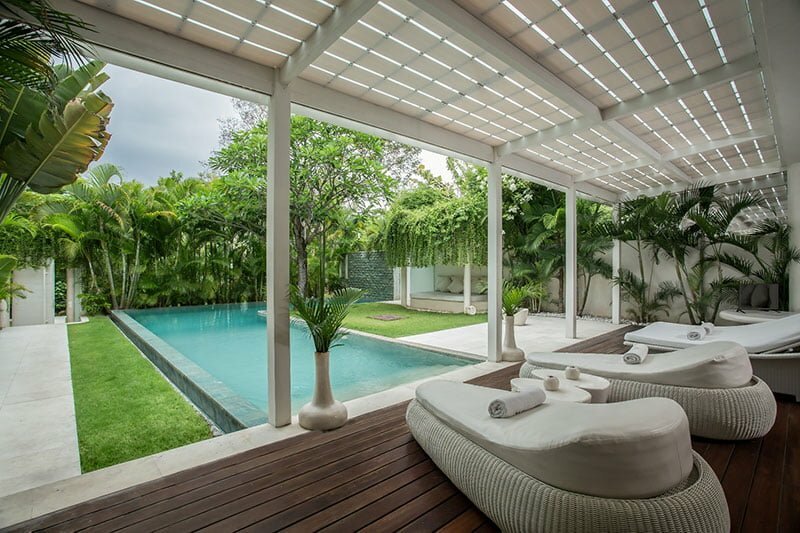 The pool, which is 12 meters long and 5 meters wide, features a safety pool fence and padded loungers. And so if you are tired of swimming, you can always stretch out resting on the comfy sun lounge chairs sitting alongside the pool. 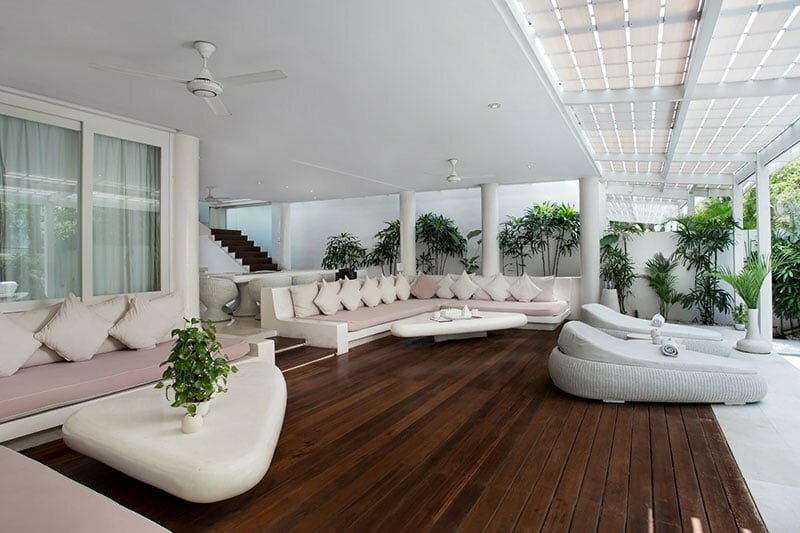 Guests at Eden Residence will have fun relaxing in the open-air living areas. 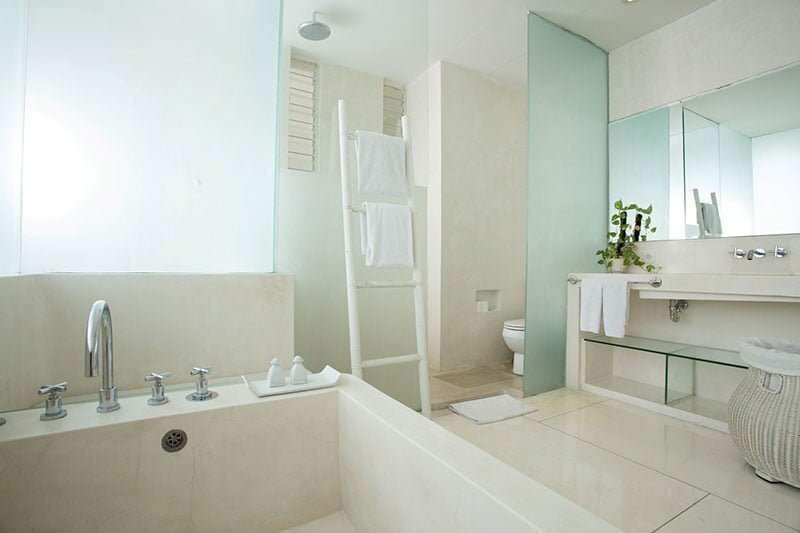 These rooms are designed smartly to compliment what you saw in the exteriors when checking in! 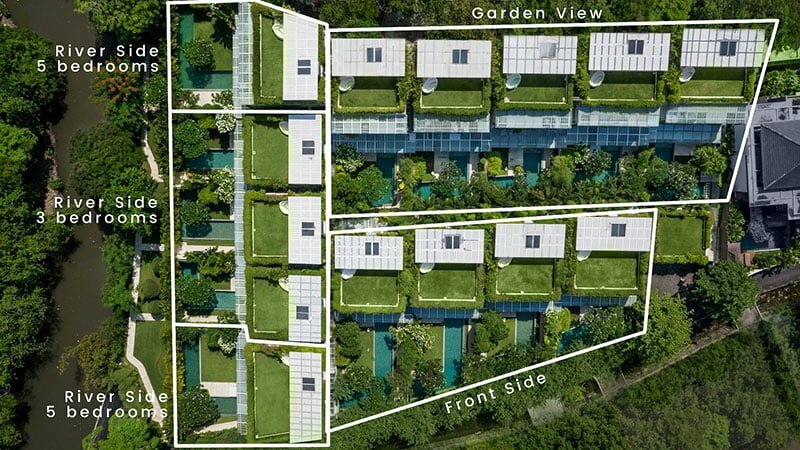 The open-air spaces ensure that guests span their eyes across the garden and the nearby beach while appreciating the views of beautiful panoramic sunsets. 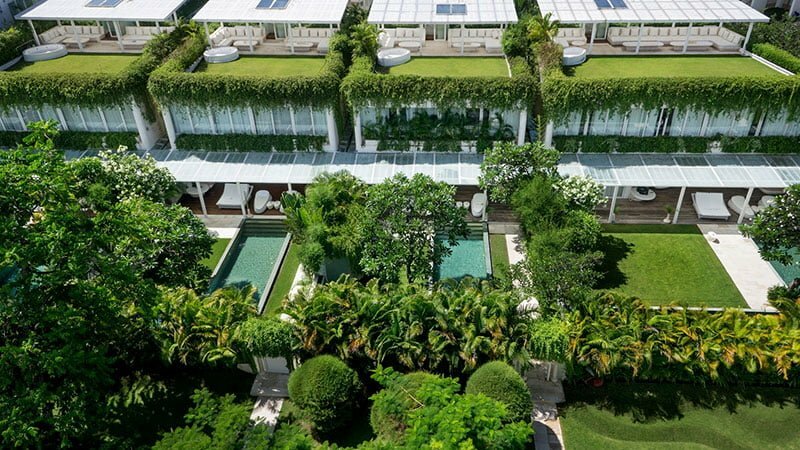 In general, there are fifty-five rooms at Eden Residence and each villa features a fully-furnished kitchen, private swimming pool, and a rooftop garden. 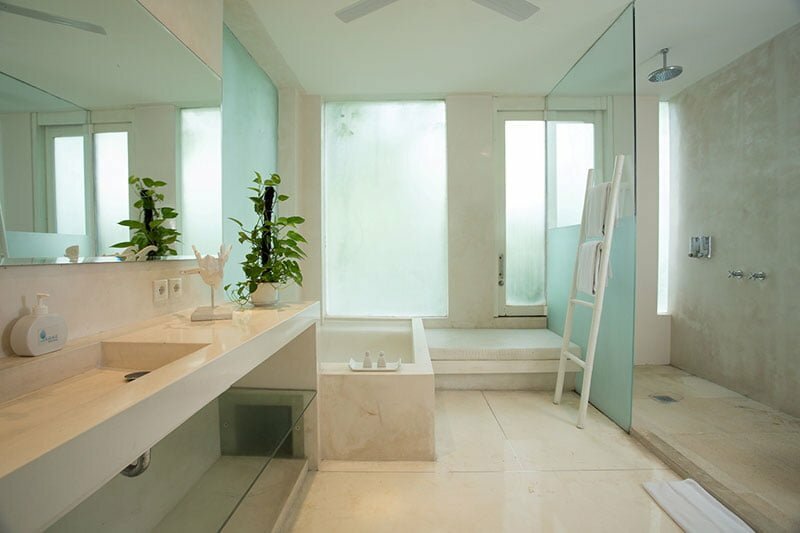 The latter feature advances a modern Jacuzzi. 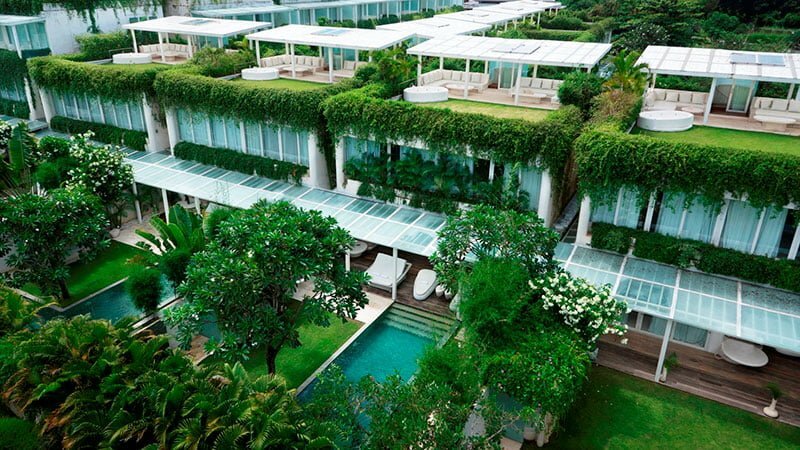 Eden Residence is a complex made of up of fourteen separate villas. Bedrooms are available in different and varied categories. 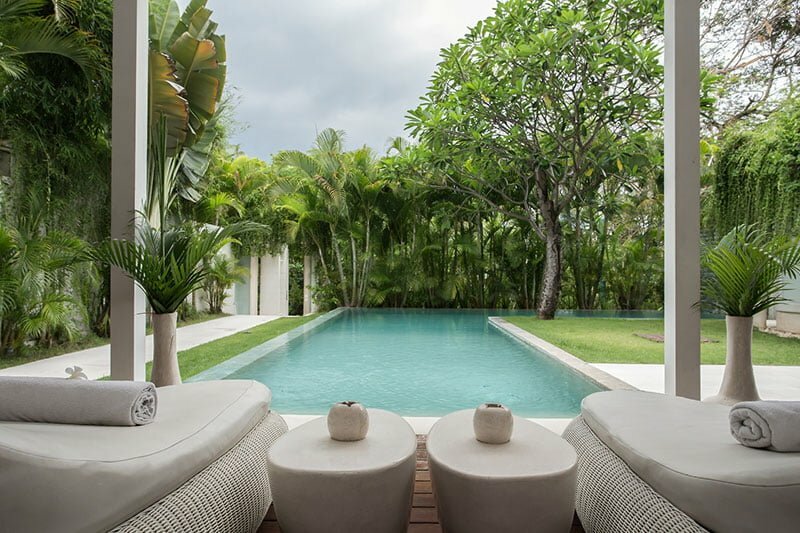 In total, there is one four-bedroom, six five-bedroom, and seven three-bedroom villas for visitors to make their choices based on their individual needs. 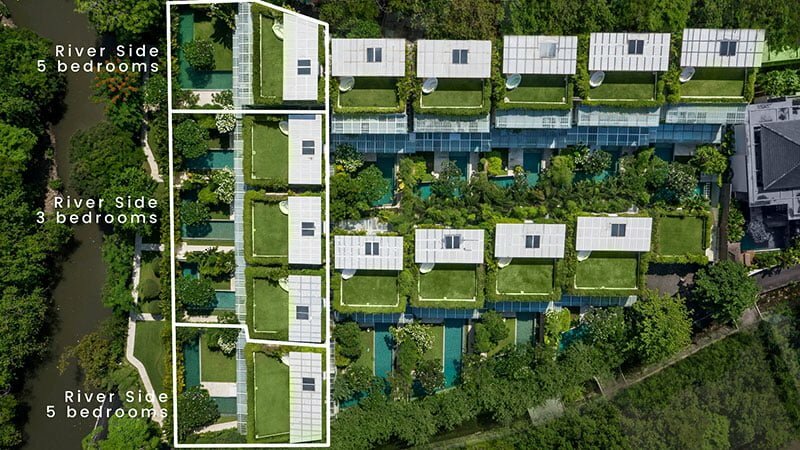 All the bedrooms, nonetheless, feature large outdoor sliding walls to give an option of joining four of the suites into two. Guests can as well make a choice of riverside, seaside, or garden view options. 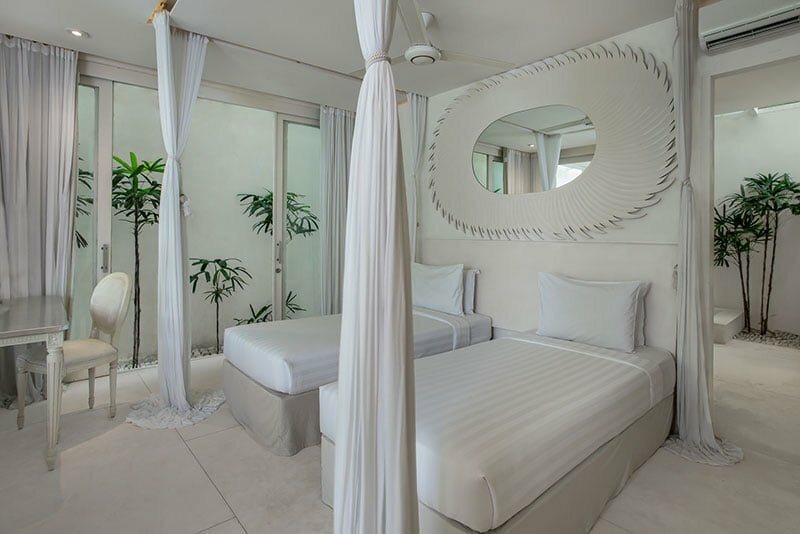 All the bedrooms are also equipped with flat-screen televisions, safe boxes, and free Wi-Fi internet connection among others. 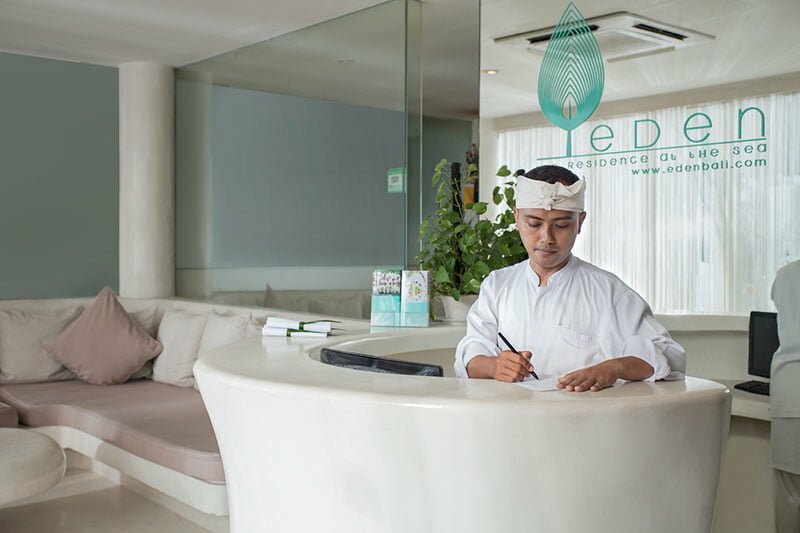 Eden Residence staff is made of an on-site supervisor, receptionist, private chef, spa/massage treatment experts, security guards, babysitters, and gardener-pool boy. The full-time on-site staff ensures the guest’s needs are met on a timely basis. 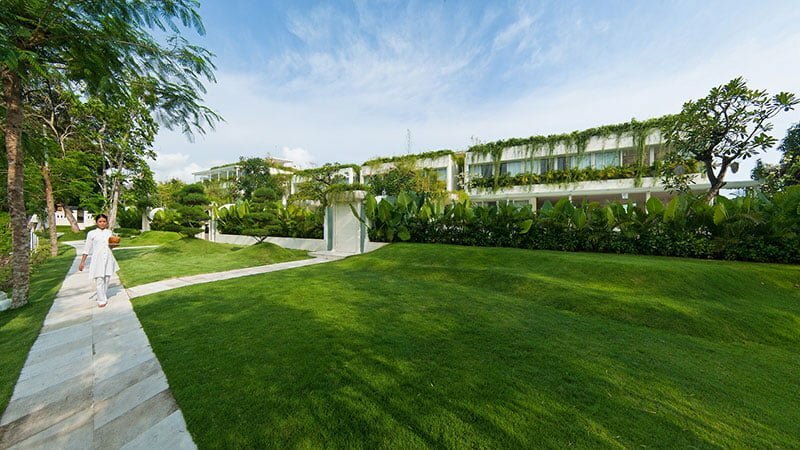 Eden Residence indulges its visitors with a myriad of services. Whether you are checking in or out of the villa at night, you will always find a receptionist waiting for you as the villas offer a 24/7 operator/reception service. There is an in-house spa and the villa has expert staff to deal with body treatment services. 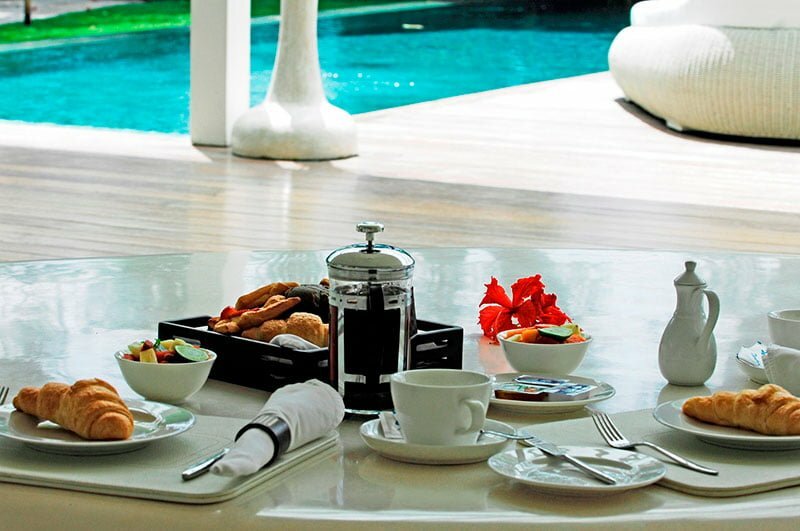 Guests can luxuriate in great bliss enjoying the room catering service. Other services offered include babysitting, daily maid service, concierge service, grocery & beverage shopping service, private chef service, and catering (breakfast, lunch, and dinner) service.